The Country Lane Home and School Club (H&SC) is a non-profit parent/teacher organization thatprovides many benefits to our students through fundraising and volunteer time, including field trips, social events, teacher and student supplies, and funding for over a dozen school clubs and academic enrichment programs. Please contact Stephanie Little at littlesteph@sbcglobal.netif you are interested. Donate to the membership drive! SCRIP - NORMAL PURCHASES EARN FOR COUNTRY LANE Science Camp! Buy Scrip cards at Country Lane and earn for our amazing Science Camp! Scrip is simply a gift certificate or gift card from retailers. It is accepted the same as cash just like gift cards you buy at the store. In California, gift certificates/cards don't expire! 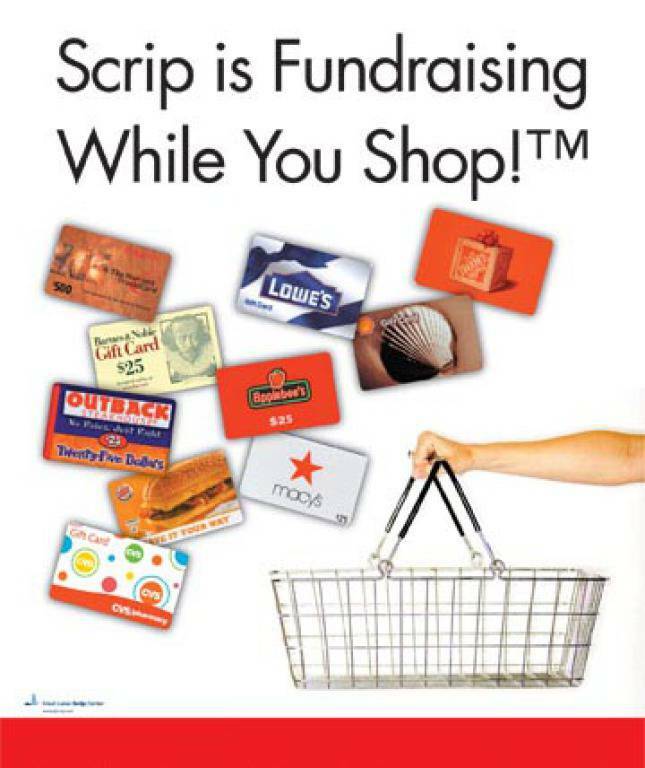 Many popular retailers participate in our scrip program including Safeway, Starbucks, The Gap, Shell, and many, many others. Purchase online or in the morning on Mondays, through Fridays (outside the School Office). Tables are open from 8:25am to 8:40am. If you can't come at those times, you may leave your order and payment in the office with Mrs. Myers and pick it up another day. Scrip participating retailers agree to sell gift cards to our organization at a discount. Member families like yours buy the gift cards for full face value, then redeem them for full face value, and our school keeps the difference as revenue. With each purchase, you can earn revenue for your child's science camp account (5th grade week-long trip to Marin Headlands that costs about $450 per child) and our school's general science camp fund that funds our teachers fees, the bus ride and scholarships. What are the benefits of our SCRIP Program? Read our Country Land SCRIP Handbook below or visit us at the SCRIP Table Monday - Friday mornings from 8:25– 8:40 am in front of the school (Room B). If you have additional questions, please contact countrylanescrip@gmail.com. Continue earning Science Camp funds over the summer with shopwithscrip.com and Presto Pay. STAFF WISH LIST - Are you looking for the perfect gift for your favorite staff member? You can earn money for your child's 5th Grade Science Camp account by purchasing scrip gift cards. Check out the staff Scrip Wish List here.